Glass Rooms are one of our most popular products as they create a stunning new space without the costs and time involved in having an extension on your property. 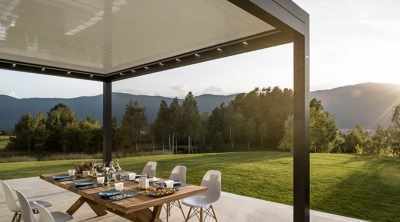 A glass room from Lanai Outdoor is perfect for bringing the outside in, and will give you the feeling of being outdoors, whilst in the warm, lounging, relaxing or entertaining with family and friends. 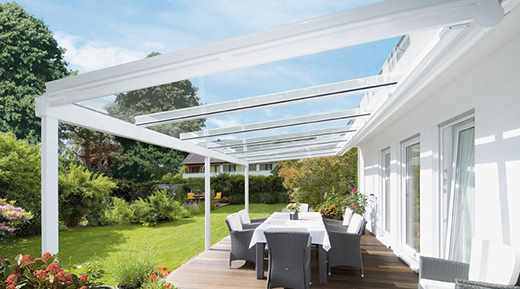 One of the main benefits to having a glass room installed is that you can enjoy your garden all year round, either on your own, or with friends and family, which is usually on the wish list of garden lovers in the UK, but a reality we can bring to life for you. 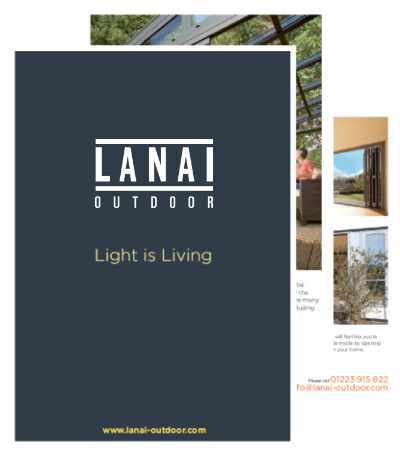 A Lanai Outdoor Glass Room is contemporary and flexible, so you can be sure of a style to perfectly compliment your home, whether you have a modern property or a traditional house or bungalow. 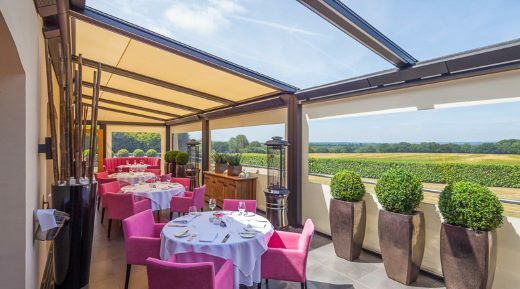 Our glass rooms can be finished in a choice of 100’s of colours and can be supplied with sun protection, heating, LED lighting, weather sensors, roof vents and smart solutions to give you complete control. For more information visit our Glass Rooms page. Great service and excellent value. I couldn’t be more pleased with my new Glass Room. 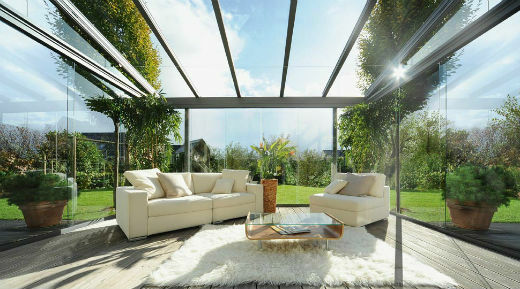 I am really looking forward to the spring when I can sit in my new room with a glass of wine and enjoy the garden. Lanai were great from start to finish. First Class. 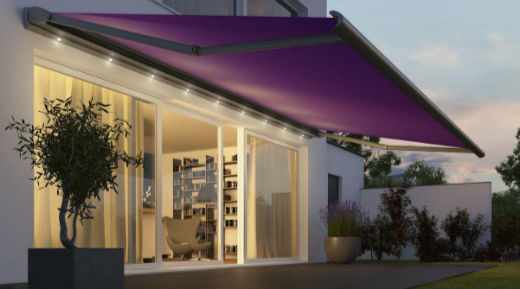 Suppliers of an extensive range of patio awnings, canopies and open glass rooms.